Looking for a new way to get beautiful clothes and accessories, tasty foods, and beauty products delivered straight to your door without having to step inside a store ever again? Whether if your’e looking for a new way to try innovative new beauty products, have a personal stylist pick our great outfits for you, or even discover some cool ways to decorate your home or office, a women’s subscription box is exactly what you need! So with that being said, let’s jump to our listing of the best monthly boxes for women. Plus, there’s even some pretty killer coupons and deals for even more savings! What’s inside: Get a seasonal box filled with full-sized beauty and cosmetic products as well as some great accessories and lifestyle essentials. How much is it: $20 styling fee plus free shipping and returns. What’s inside: Every month, you’ll get 5 pieces of clothing, shoes, and accessories based on your personal style. Then from there you can pick and choose what you like and only pay for what you love. Best of all, the styling fee is applied as credit to anything you purchase! 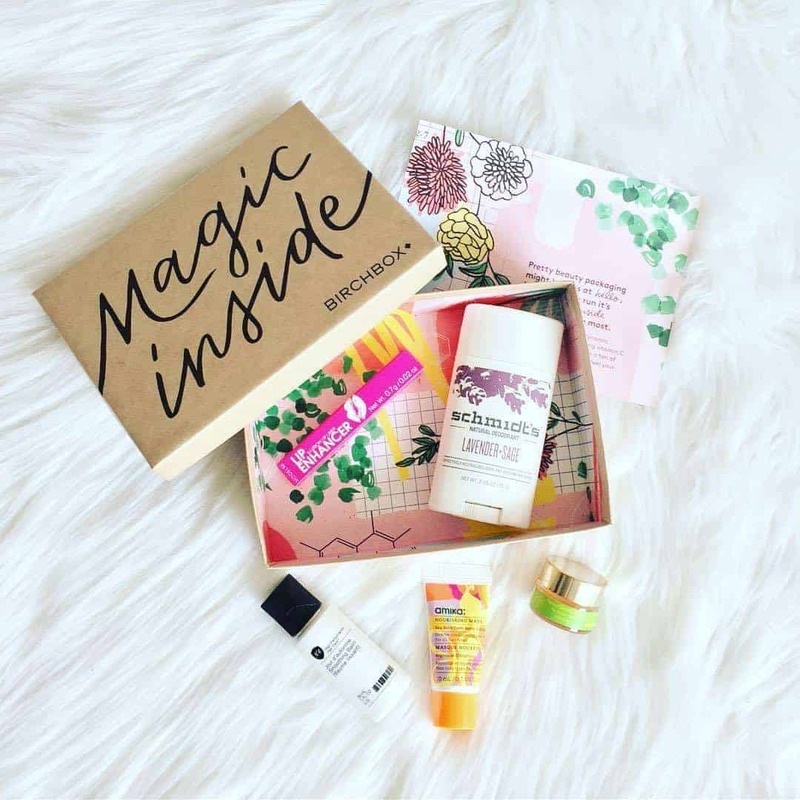 What’s inside: Get a monthly box of products from incredible brands that range from beauty, home decor, fashion, and more. What’s inside: Receive 5 beauty samples and products all picked to match your beauty profile every month. What’s inside: A women’s clothing subscription serve for sizes 10-32. Just choose your looks, wear, then return. Best of all, you can try it for free for a month! What’s inside: Get a glam bag of 5 beauty products based on your style presences. 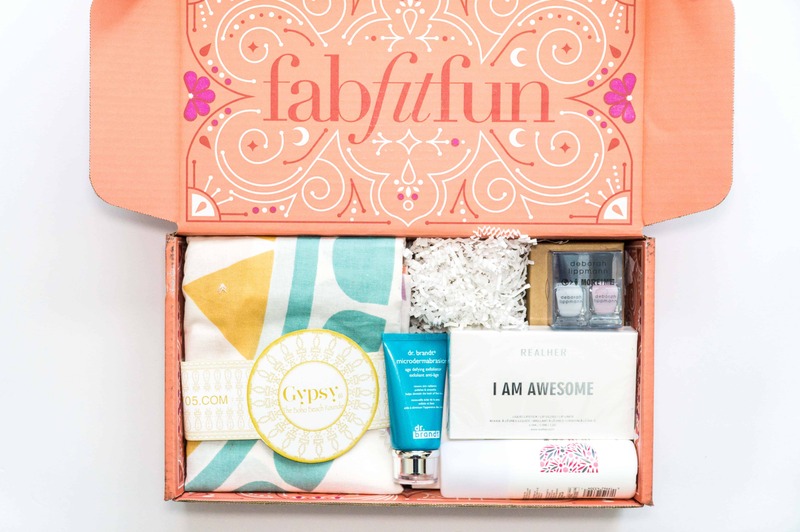 By far one of the most popular monthly women’s subscription boxes! How much is it: Free membership with wine bottles starting at $13 a bottle. What’s inside: Get awesome wine selections based on your favorite flavors and tastes delivered every month. Our favorite wine club out there today! What’s inside: Every month, you’ll receive a stylish pair of shoes that you get to choose from beforehand from their huge listing. Best of all, there’s even an options to get 2 shoes for the price of 1! Coupon / Buy Now: Get your first style for only $10 HERE. What’s inside: Get full-sized products like beauty essentials, fashion accessories, snacks, books, and more, hand-selected exclusively for fun and fabulous single women. How much is it: $13.95 a month plus shipping. What’s inside: Get a curated collection of awesome items like wearables, t-shirts, comics, and so much more from your favorite geeky franchises and fandoms. Plus there’s even an official Harry Potter box! How much is it: $11.99 for one pair of socks. What’s inside: Get fun, colorful, and stylish name brand socks from companies like Happy Socks and Stance delivered monthly. Coupon / Buy Now: Use the code URBANTASTEBUD to save $2 HERE. What’s inside: Get delicious candies, chocolates, and sweets, delivered straight to your door every month. Best of all, you get to choose what candies you want to fill your box with! What’s inside: Get a 30 day supply of any designer fragrance (over 450 to choose from) delivered in a cool mini spray bottle. Our favorite perfume box! What’s inside: With Bulu Box, you’ll get samples of some of the best new vitamins, supplements, healthy snacks, and more. Plus, there’s even a box for weight loss! What’s inside: Get 6-8 full sized yoga lifestyle items that are all vegetarian and non-GMO. Coupon / Buy Now: Use the code YOGILOVE to get 15% off HERE. What’s inside: Every month, you’ll get 3 handpicked bracelets (valued up to $50) from their newest and most popular collections. How much is it: $10 a box. What’s inside: You’ll receive a monthly box of organic cotton feminine care products like pads, liners, and tampons. Plus there’s even a kit for girls who are experiences their first period. How much is it: $14.99 a month for 1 book and $9.99 for any additional book. What’s inside: Each month, you’ll receive 1 or more books based on your favorite book genre. Coupon / Buy Now: Use the code FREEBIE to get a free additional book HERE. How much is it: $6.60 per meal. What’s inside: Get deliciously healthy recipes with pre-meaused ingredients delivered straight to your home every week. What’s inside: Get artisan made products from all around the world delivered monthly. What’s: With the Frank And Oak Style Plan for women, stylists pick out the latest pieces based on your personal style preferences and give you 48 hours every month to see your box selections and make any changes. Then once you receive your clothing box, you only pay for what you keep and get member’s only pricing of up to 25% in savings. You can skip any month at no charge and cancel anytime. What’s inside: With the Wantable Style Edit, you’ll receive 5-7 curated apparel an accessories featuring the hottest styles from premium brands. Just keep what you want and send back the rest. How much is it: $29.95 for a 60 day supply. What’s inside: Every month, you’ll get an easy, cruelty-free, vegan 3 step process to get healthier, acne-free skin. Coupon / Buy Now: Use the code TASTEBUD to get 50% off HERE. How much is it: $12.50 a meal. What’s inside: Get healthy, chef prepared meals for the week without having to cook. Best of all these meals are all naturally gluten free, fresh never frozen, and are ready in just 3 minutes. How much is it: $40+ per delivery. What’s inside: Get customizable fresh flower delivers as often as you want. Plus you can even schedule them for holidays, birthdays, special occasions or weekly. Perfect for Valentine’s Day! Coupon / Buy Now: Get your blooms HERE. How much is it: $49.99 a month. What’s inside: Get a monthly fitness box filled with workout gear, apparel, accessories, snacks, supplements, workout tips, and so much more for women. 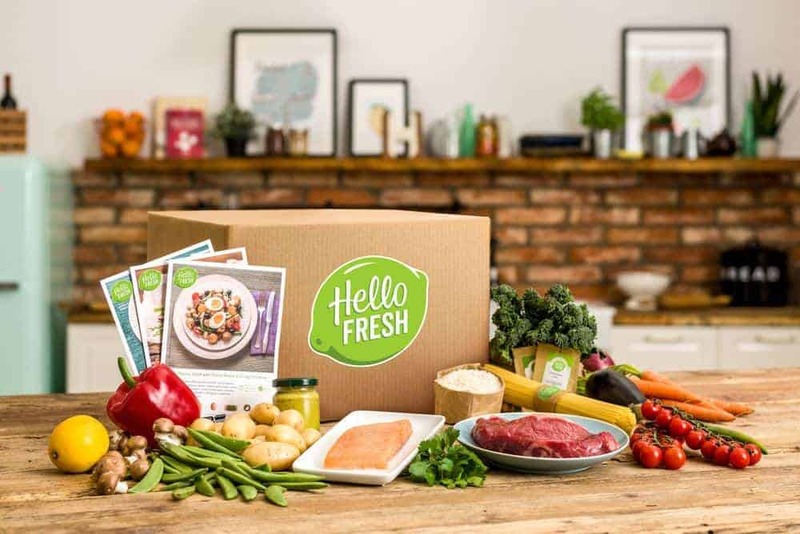 What’s inside: Every month, you’ll get a box filled with 8-12 healthy items including snacks, vitamins, skincare, and more. Plus there’s even a vegan box! How much is it: $19.99 – $49.99 a month. What’s inside: Get deliciously healthy snacks that are all non-GMO, delivered straight to your door every month. Best of all, there are 4 different boxes to choose from – classic, gluten free, vegan, or low calorie. How much is it: $9.95 – $14.95 a month. What’s inside: Get 15+ sheets of stickers as wells a a postcard delivered monthly. Plus, there’s even a subscription just for children! Coupon / Buy Now: Get your stickers HERE. What’s inside: Get cool, unique, and awesome phone cases delivered monthly. Coupon / Buy Now: Get your case HERE. How much is it: $19.99 – $39.99 a month. What’s inside: Every month, you’ll get 1-3 personalized pieces of jewelry based on your style, as well as some bonus gifts like scarves, makeup, brushes, and more. How much is it: Varies by bra type. What’s inside: Get some of the best fitting bras on the market delivered straight to your door. Coupon / Buy Now: Get $15 off your first bra HERE. What’s inside: Get a pair of fashionable leggings delivered monthy. What’s inside: Get 5 deluxe skincare, makeup, and hair care samples, as well as a fragrance, all of which are handpicked from Sephora’s shelves. By far one of our favorite monthly boxes for women under $10. Coupon / Buy Now: Join the waitlist HERE. How much is it: $59.99 a quarter. What’s inside: A women’s lifestyle box that sends you 5-6 items that encourage you to recharge, relax, and unwind, as well as 2 bottles of wine. Coupon / Buy Now: Use the code UrbanWine to get $15 of HERE. How much is it: $30 a month. What’s inside: Get a 30 day supply of a great new multivitamin for women that contains nine essential ingredients that most women don’t get enough of out of their diets alone like Vitamin B12, Folate, Vitamin D3, Omega-3 Fatty Acids, Boron, Magnesium, Iron, Vitamin E, and Vitamin K2 MK7. Coupon / Buy Now: Get your 1 month supply HERE. How much is it: $25.90 a month. What’s inside: Get a curated box of healthy snacks designed by a trainer that’ll inspire you every month. What’s inside: Get handpicked blooms delivered fresh monthly. By far one of the best bang for you buck in terms of flower subscriptions. Coupon / Buy Now: Use the code BLOOMSYA5 to get $5 off HERE. How much is it: $24.95 a month plus free exchanges. What’s inside: When you subscribe to Adore Me, you’ll get a box of lingerie based on your personal preferences and sizes. What’s inside: Every month, you’ll get full-sized beauty and skincare products all of which are curated based on your set beauty profile. Coupon / Buy Now: Get a free 8 piece beauty set (worth $150) HERE. What’s inside: Each month, you’ll get a box of 4-6 entrepreneur focused items like books, planners, chic office supplies, and more, all of which aim to help you grow your business. Thanks for reading and hopefully you find the perfect women’s subscription box possible! And best of all, these also make great gifts for birthdays, mother’s day, or even the holidays! Just a note that although we recommend these monthly subscription boxes for women, that doesn’t mean these aren’t great options for men. These boxes are perfect for anyone! Cool! This is a great addition to my boxes. if you’re trying to get pregnant, you have to try the conceiveeasy ttc kit subscription box. you get pregnancy tests, opks, and more. it is so awesome. To the famely of ex editor from More magazine Brette Polin. Your doughter recently met CBS anchor named Otis Livingston they messing with some businesses in Brooklyn if we will catcht them they will go to jail !!!! !